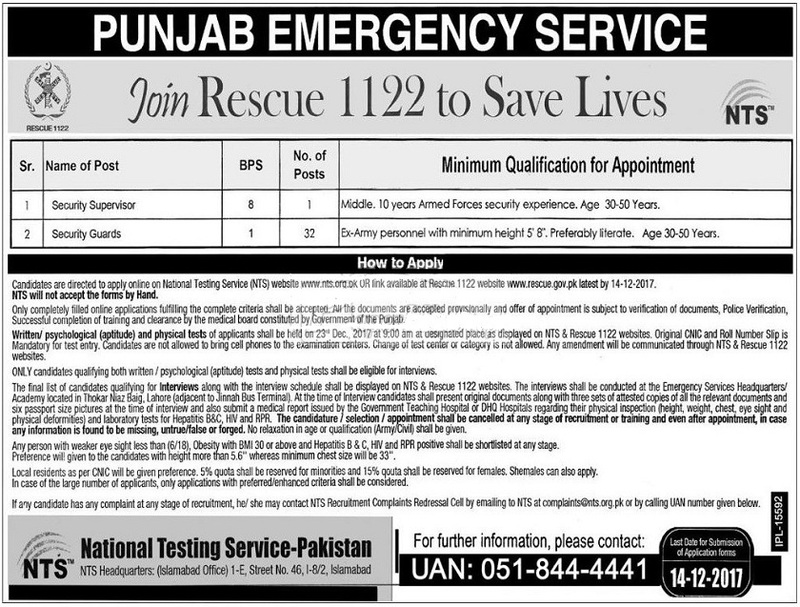 The Punjab Emergency Service (Rescue 1122) is the leading emergency humanitarian service of Pakistan with infrastructure in all 36 districts of Punjab and is providing technical assistance to other provinces. Ex-Army Personnel with required experience. Register Online at NTS website.After registration Download Application and Chalan Form from the NTS website and send the duly filled Application to NTS Head Quarters Islamabad.